There are five ranked guys on each half of the bracket at 106 pounds but the top two ranked guys are both on the top half. #1 Keaton Zeimet (Central Dewitt) is the clear cut favorite in the top quarter of the bracket. #10 Carter Anderson (Albia) is the only other ranked wrestler up top. #6 Cam Phetxoumphone (Webster City) and #8 Cole Nelson (Humboldt) square off first round with the winner likely getting #2 Blaine Frazier (Notre Dame, Burlington) in the quarterfinals. Zeimet and Frazier could be a fun semifinal if we get to see it. Frazier is long and lanky which can give people fits. #3 Carter Fousek (Crestwood, Cresco) and #5 Riley Anderson (Bondurant-Farrar) appear to be on a crash course in the quarterfinals in what promises to be an exciting match. #7 Jon Burnette (Spirit Lake Park) and #9 Lincoln Mehlert (Union, LaPorte City) face off in another ranked 1st round match. The winner will likely face #4 Jacob Mielke (Pocahontas Area) in the quarterfinals. Fousek has been battle tested over the years traveling the country and I think that experience gets him past Anderson. Fousek and Mielke in the semifinals could be really fun. This top section of the bracket is loaded! #3 Brayden Graff (Sergeant Bluff-Luton) has been red hot lately but will get a stiff test from #6 Landon Fenton (PCM, Monroe) in round one. The reward for the winner is returning state champion and #1 ranked Matthew Lewis (Centerville). #9 Kolten Crawford (Union, LaPorte City) and #10 Zane Dodson (Van Meter/Earlham) will be an interesting first round matchup. The winner will face the winner of 3 seed Cole Whitehead (Center Point-Urbana) and Johnathon Erp (Red Oak). Both are wrestling well right now and Erp took out 4th ranked Schmitz at districts. There are only three ranked wrestlers in the bottom half of the bracket at 113. #5 Isaiah Weber (Independence) appears to have a good draw being the only ranked guy in his quarter. 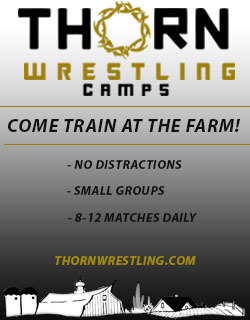 Johnny Hua (MOC-Floyd Valley) has had a good year and Tyler Stein (Clarion-Goldfield-Dows) has some nice wins and the winner won’t be any easy out. #2 Colby Lillegard (Bondurant-Farrar) should get a test from #8 Sam Nelson (Clear Lake) in the quarterfinals. I look for Lillegard to come out on top of a good match with Weber in the semifinals. #7 Payton Drake (PCM, Monroe) looks to be an important piece of his teams chances of a state title. He will have his hands full right away with getting returning state runner up and #2 ranked Nathaniel Genobana (Centerville) in the opening round. The winner should be the favorite to make the semifinals. The next quarter will be a battle! #6 Ryan Clark (Mt Vernon) will have his hands full with a very tough Colby Wiederholt (Van Meter/Earlham) who has spent time in the rankings over the last 2 years. #5 Brock Beck (Grinnell) will also face a stiff test from the always dangerous Nate Curry (Sergeant Bluff-Luton). #3 Caleb Fuessley (Center Point-Urbana) is wrestling great right now and has a real shot at winning this bracket. He will face off against #9 Joe Sullivan (Osage) in round one. The winner will likely face #4 Kaden Anderlik (Crestwood, Cresco) in the quarterfinals. #8 Kyler Dunn (Spirit Lake Park) and #10 Walker Ikerd (Washington) will square off in the opening bout. The winner should face three-time place winner and #1 Drake Doolittle (Webster City) in the quarters who is seeking that elusive state title. I look for Fuessley to win a hard fought match against Anderlik and then he and Doolittle will be an absolute war. The top half of this bracket is loaded with five of the top seven ranked wrestlers! #7 Joe Waters (Spirit Lake Park) will have his hands full in round 1 with a very talented Averee Abben (Osage). The winner should get defending state champion and #1 ranked Andrew Flora (ADM, Adel). #4 Kayden Kauzlarich (Centerville) will face #5 Eric Kincaid (Camanche), who somehow didn’t get seeded, in a crazy round one match. The winner should see #3 Hayden Taylor (Solon) in the quarterfinals. Taylor beat Kauzlarich in the district finals on Saturday. I think that a Flora vs Taylor semifinal could be one of the best matches of the tournament. With all of those guys up top #2 Kain Luensman (Monticello) appears to be the clear favorite on the bottom half of the bracket. He will face off against #9 Trestin Sales (Eddyville-Blakesburg-Fremont) in the 1st round. The winner will likely face #10 Mason Cleveland (NHTV, New Hampton) in the quarterfinals. 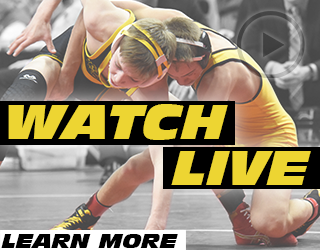 #6 Bryce Hatten (Winterset) and #8 Carter Logue should meet up in the other quarterfinal. Luensman battled some injuries late in the year but has looked really good the last couple weeks. #1 Eric Faught (Clear Lake) has been the top guy here all year and comes in unbeaten. He will likely face #8 Jackson Rolfs (Decorah) in the quarterfinals. #3 Kruise Kiburz (Winterset) has had a really good year but will get a good test from Brock Radeke (Vinton Shellsburg) in round one. I look for Kiburz to advance and face a really stiff test in #7 Zeb Gnida (Solon) in the quarterfinals. I think that either guy will have a tough time against Eric Faught who’s having another stellar season. #5 Ryan Phillips (West Delaware) looks to lead his squad into team title contention but it won’t be easy though as he could see ranked wrestlers in every match. He will face #10 Cody Calvelage (Louisa-Muscatine) in the opening round. The winner should get #4 Jalen Schropp (Williamsburg) in the quarterfinals. Schropp and Phillips have split matches this year with Schropp winning the later at the WAMAC touranment. #2 Jack Gaukel (Sergeant Bluff-Luton) looks like the guy to come out of the bottom portion of the bracket but will get a test from #9 Remington Hanson (Clarion-Goldfield-Dows) in the quarters. #3 Jarod Kadel (Columbus Community) is the only ranked wrestler in the top quadrant of the bracket and should make the semifinals. #6 Luke Radeke (Vinton-Shellsburg) will face a very stiff test from Gunner Rodgers (North Fayette Valley), who spent much of the year in the rankings, in the opening round. The winner will likely face #4 Chase McLaren (Atlantic) in the quarterfinals. I look for Kadel to survive a great effort from McLaren and get back to the state finals. #1 Kaleb Olejniczak (Perry) will see #10 Troy Schnathorst (Carlisle) in the first round and likely #7 Jadyn Peyton (West Delaware) in the quarterfinals. #2 Jack Thomsen (Union, LaPorte City) will likely face off with #5 Brennan Todd (Bishop Heelan) in the other quarterfinal match. 138 has the best 1-3 guys in all of class 2A so it was inevitable that two of them would have the meet before the finals. 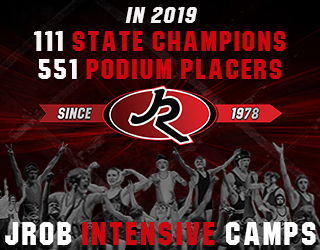 Kaleb Olejniczak and Jack Thomsen have both had outstanding seasons, and careers, and this will be a fun battle! 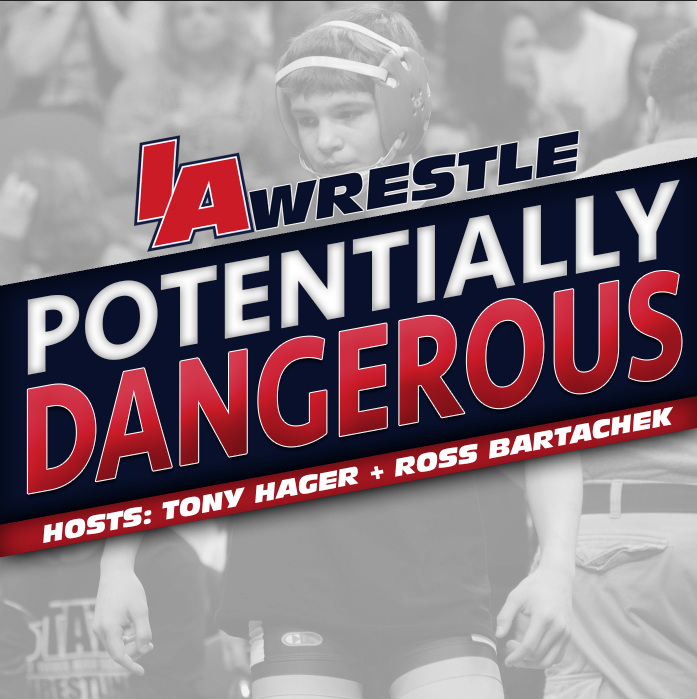 #3 Colby Tool (PCM, Monroe) got a great draw and will likely see #10 Isaiah Spencer (Spencer) the top quarter of the bracket. #4 Joey Busse (Humboldt) comes in undefeated but will get a good test in the opening round from #8 Garrett Jensen (Williamsburg). The winner will likely see #7 Koby Hassebrock (Roland Story). PCM, Monroe will need big points from Tool to stay ahead of the pack and I look for him to come through and make the finals. #5 Jack West (Winterset) started the year hot but has taken a few losses as the season went on. He will get tested by a physical wrestler in #9 Cael Meyer (West Delaware) in the opening round. The winner could see #6 Max Babcock (NHTV, New Hampton) in the quarter finals. In a bizarre seeding twist #1 ranked Will Esmoil (West Liberty) got the 7 seed. That puts him on a crash course with #2 Chase Luensman (Monticello) in the quarterfinals. Esmoil beat Luensman in the River Valley Conference tournament 3 weeks ago. The winner of this rematch should be the favorite to reach the finals. #3 Kyler Rieck (Spirit Lake Park) got the 1 seed but a tough draw and could face ranked foes in every round. He gets #8 Carter Profitt (Charles City) in the first round who has wrestled very well as of late. Get past that and he will face the winner of #9 Coy Ruess (West Liberty) and a tough Connor Pellett (Atlantic). The other quarterfinal will likely pit #2 Easton Graff (Sergeant Bluff-Luton) and #4 Zack Bevans (Solon) in a great battle. Graff has a win over Rieck this year and don’t sleep on Bevans who has wrestled a really tough schedule and is hard to score on. #6 Mitchel Mangold (West Delaware) and #10 Braxton Doebel (Clear Lake) should be a good opening bout. The winner will likely face #5 Scott Betterton (Vinton Shellsburg) in the quarterfinals. Betterton has beaten Mangold the last two weeks at sectionals and districts. #7 Matthew Doyle (Independence) is a returning place winner and good enough to make a deep run but has been working his way back from injury. He will have his hands full with #1 Adam Ahrendsen (Union, LaPorte City) in the quarterfinals. Ahrendsen will need to make a deep run for Union to keep pace in the team title race. This is kind of a crazy weight and I could really see any of the top seven guys getting hot and winning this bracket. #2 Wes Cummings (PCM, Monroe) get the top seed but will face a stiff test from #9 Connor Dehn (Dubuque Wahlert) in the opening round. Dehn missed some time with injury this year but is wrestling well coming in. The winner will likely face #7 Caleb Swalla (Van Meter/Earlham) in the quarterfinals who knocked off #1 Noftsger at sectionals. #5 Baylor Crigger (Camanche) has had a great career side tracked by some injuries but comes into his senior state tournament healthy and wrestling very well. He will likely face #1 Skyler Noftsger (Ballard) in the quarterfinals who has also battled some injuries. #6 Justin McCunn (Red Oak) will get a good test from Andy Brokaw (Solon) in the opening round before likely facing #3 Cole Davis (Independence) in the quarterfinals. Davis took a few losses at 170 early in the year but has been red hot since dropping to 160. The bottom quarterfinal will likely see #4 Zach Williams (Osage) and #10 Austin Beaver (West Liberty) square off. Davis does hold a head to head win over Williams this season. This bracket was redrawn and there was quite a shake up. One thing that didn’t change is that #1 Paul Ryan (Mt Vernon) is the top seeded wrestler. He should likely see #7 Jackson Kinsella (Creston) in the quarterfinals. #9 Dylan Koresh (Charles City) got the #4 seed in the bracket but draws #6 Wyatt Voelker (West Delaware) in the first round who went unseeded as a freshman. The winner of that match will likely face #5 Spencer Mooberry (Osage) in the quarterfinals. Mooberry beat Koresh at sectionals and districts. #3 Sage Walker (Eddyville-Blakesburg-Fremont) comes in unbeaten and looking to get rid of the bitter taste from last years postseason. He will likely get #4 Jarron Trausch (PCM, Monroe) in the quarterfinals. Walker has beaten Trausch twice this season but Trausch was able to tighten the score in the district finals. #2 Colter Bye (Crestwood, Cresco) should get a stiff test from the always dangerous #8 Jax Flynn (Solon) in the quarterfinals. Bye got headlocked in the finals of the first tournament of the year but hasn’t lost since. Defending state champion and #4 Lucas Roland (PCM, Monroe) has battled injury and missed the start of the season. He has taken a couple losses while working his way back and one of those was a 6-0 decision to #3 Nolan Harsh (ADM, Adel) in early January. They could meet again in the quarterfinals. Roland will have to get past #8 Abraham Michel (Maquoketa) in the opening round first. The bottom quarterfinal will likely pit #2 Tristin Westphal-Edwards (Washington) against #6 Luke Jenness (Sheldon/South O’Brien). This is a tough one to predict and Roland has lost to Harsh and Westphal-Edwards and how healthy he is could play a big factor. #1 Julien Broderson (Davenport Assumption) has been completely dominant all season long and I don’t expect that to change. He has one regular decision (against a ranked HWT who had nearly 80 pounds on him), one technical fall (over #3 Bentley) and the rest of his matches have all been pins. He will likely face #8 Logan Escher (Washington) in the quarterfinals. #2 Noah Bandstra (East Marshall) and #5 Caleb Olson (Webster City) should meet in the other quarter for a chance at Broderson in the semifinals. #4 Dalton Chipp (Hampton Dumont) will get a good test from #9 Isaac Boucher (Mid Prairie) who has been good since dropping from 220 late in the season in the opening round. I look for Chipp to advance to wrestle #6 Jordan Bries (West Delaware) in the quarterfinals. The bottom quarter will likely see #3 Thomas Bentley (Red Oak) take on #7 Kolton Bus (Central Lyon GLR). Two-time state runner up and #1 ranked Cody Fisher (Woodward Granger) comes in as the 1 seed and will get #10 Cale Roller (Atlantic) in the first round. #6 Seth Adrian (Davenport Assumption) will get #9 Jarret Meyer (Central Lyon GLR) in the opening round and then likely #3 Mike Hoyle (Solon) in the quarterfinals. Wyatt Schiedel (Crestwood, Cresco) knocked off 4th ranked Albertson from Union at districts and will need some of the same magic to have a chance against Hoyle in round one. A semifinal between Fisher and Hoyle could be a lot of fun and Hoyle likes to get after it. #5 Lake Stahlberg (Monticello) and #7 Kade Hambly (Clear Lake) should face off in a good quarterfinal matchup. #2 Dakota Powell (Spirit Lake Park) will face a solid test from Kobe Simon (West Liberty) who spent much of the year in the rankings in the first round. The winner will likely see #8 Kaden Sutton (ADM, Adel) in the quarterfinals. I look for Powell to likely make it out of this side but he will get tested along the way. #8 Drake Fox (Notre Dame, Burlington) and #9 Cole Cremeens (Williamsburg) should be a good first round match. The winner gets to face off with #1 Spencer Trenary (Clarion-Goldfield-Dows) in the quarterfinals. #4 Derrin Sesker (Van Meter/Earlham) should get a good test from Carson Petlon (West Delaware) in round one with the winner likely getting #6 Drew Evans (Independence) in the quarters. #7 Taven Rich (Maquoketa) will square off against #10 Jarrett Fastert (Central Lyon GLR) in the opening round. The winner will likely face #5 Derec Weyer (Harlan) in the quarterfinals. #2 Kobe Clayborne (Bishop Heelan) has been really good all season and looking to improve on his 6th place finish last year. He will likely face #3 Justin Jones (Humboldt) in the quarterfinals who somehow got the 7 seed in the bracket with his only losses this year being to Trenary.